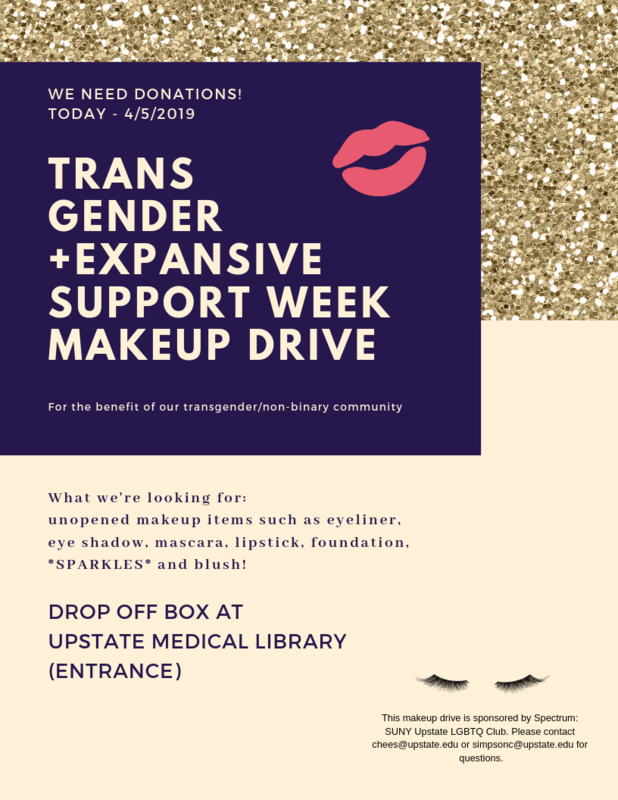 Makeup donations are needed in support for Transgender & Expansive Support Week and can be donated at the Library on Friday, April 5th. There will be a drop off box at the front entrance of the Library. Last Modified: April 02, 2019. Contact Devin Kerr with questions about the content of this page.